Former Swindon Town winger Kaid Mohamed has returned to the Welsh Premier League by signing for Port Talbot Town. 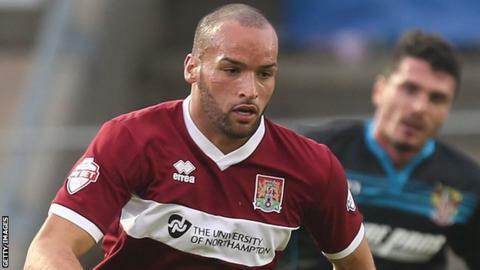 Mohamed was released by Port Vale in May after two years at the club, which featured loan spells at Wimbledon, Bristol Rovers and Northampton Town. The 31-year-old chose to join Swindon over Wrexham in 2007 after impressing for Carmarthen Town and Llanelli. "To get Kaid is a major coup for the club and will add undoubted quality to the team," said manager Andy Dyer. "He is a proven goal-scorer and will add experience and knowhow to the group." Port Talbot start their Welsh Premier League campaign at home to Bala Town on Saturday.